Tested by the British, is this riveted /8 that is captured in Africa. It is believed to be the same vehicle that is preserved in Bovington. The 3 other pictures are from the German manual. The 2 dashboard views are strangely different in what they show in good light. Some old 251 are reequipped as ambulance. Noticeable A, B and bolted C versions are photographed. The /8 is also factory build in quantities. Equipped with 2 folding stretchers for 2 lying and 4 seated or 10 lightly wounded sitting soldiers can be taken. A field modification is known on a version D. American GI's are seen carrying stretchers into the doors. The top strip has been taken out. Handling stretchers through the doors is not easy. There could be many more of these alterations. Large flags and red crosses are seen. On the Russian front in 1943 a /8 is seen with "zimmerit" (Epoxy based antimagnetic plaster). The surviver in Bovington has a folding step beneath the doors. Factory build vehicles are reported to have this for easier loading and unloading. 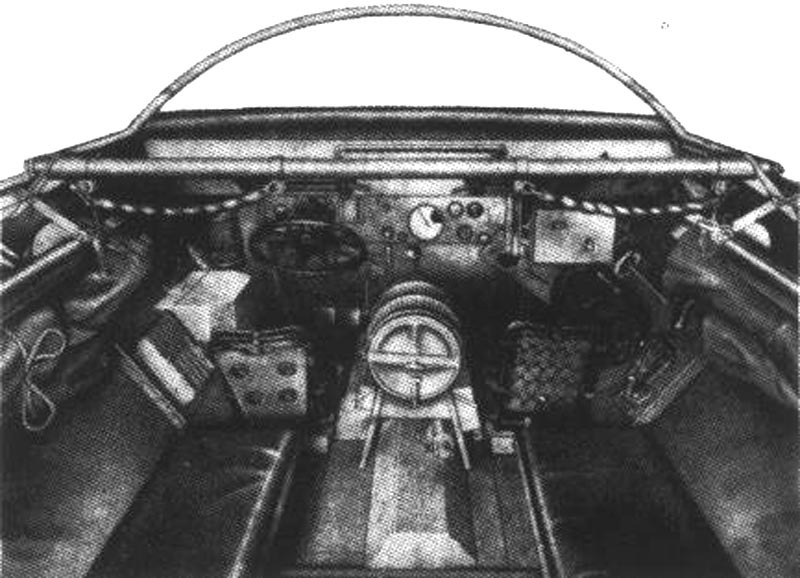 All interior shots and the manual show a water-barrel above the gearbox. This is on /8 only. There are two versions distinguished on radio equipment. 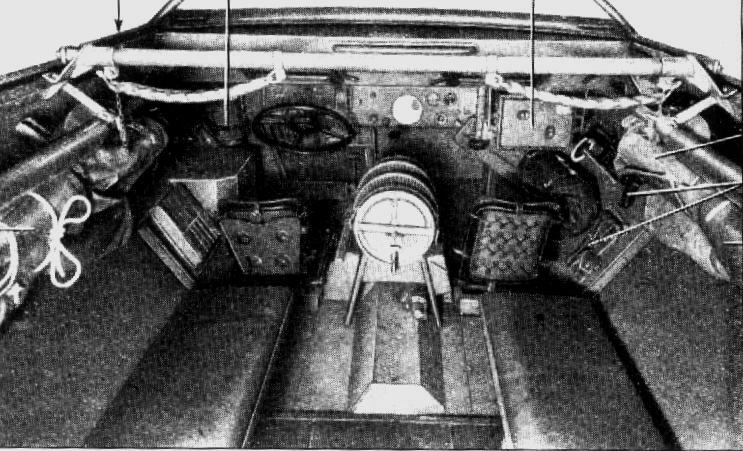 Version 2 has the tank-radio set FU-5. That could indicate that this version was used with tank formations. Right side and left rear benches omitted. 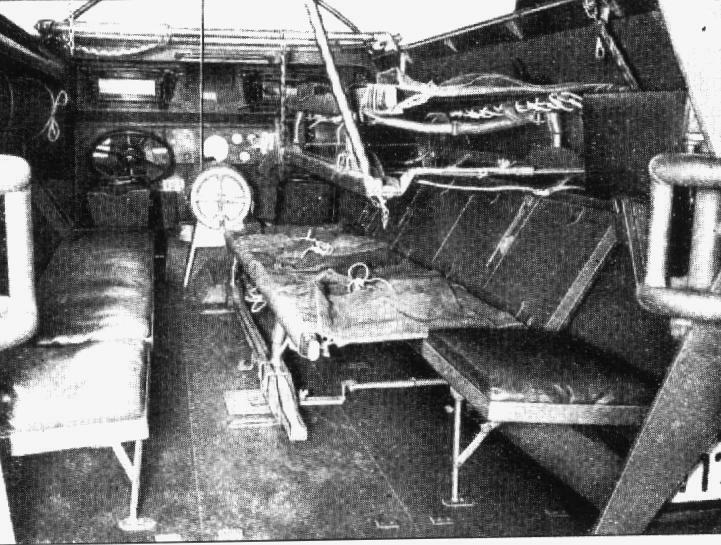 Two stretchers on the right side and single folding crew seat. On the factory version in the manual the left seats are collapsible instead of the solid ones.